Post feature Report RSS	What Is… Colonizer? Before the Holidays, we gave a little teaser for one interesting Worbital feature, without any explanations. Now that the screenshots have been around for a while, it’s time to take a better look at the.. Colonizer. Colonization was, perhaps, the one most requested feature for Interplanetary back when the game was in Steam Early Access. Essentially, it would mean the ability to occupy other planets in the solar system and build an extension of your base on them. The concept was intriguing, but it had to be sacrificed for the sake of focusing on the key mechanics. With Worbital, we got a chance to try it, so here we go. Ladies and gentlemen, we present to you the Colonizer. Essentially, Colonizer lets you occupy additional planets for your base, which expands the battlefield significantly. More planets to shoot from and to shoot at! Not to mention extra mining territory. Somewhat similarly to Railgun, it fires a pod at a planet you’d like to colonize. Once the pod lands on that planet, it sets up a Terraformer Construction Yard on the spot. The Terraformer quickly builds itself up and starts charging. 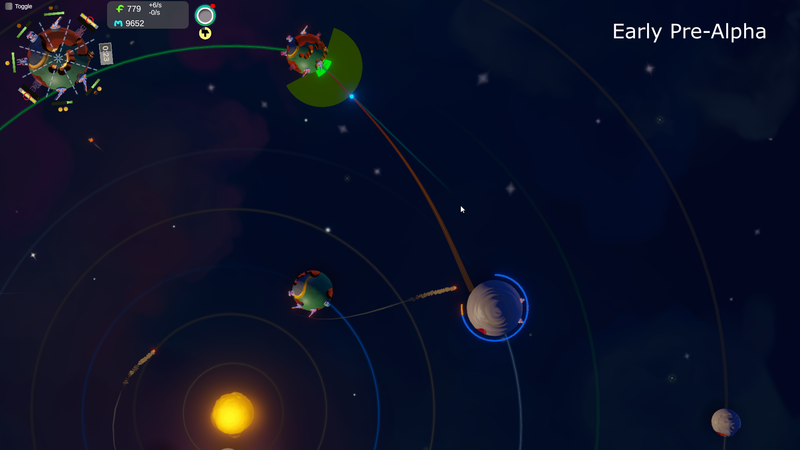 Once the charge meter is full, the planet is automatically claimed for the terraforming player. Et voilà: you got more surface for building whatever you wish. Though, there are things other than just building which you could do with it… We will get to this later. What to do if you and your opponent land Terraformers on the same planet? In this case, the player who completes the terraforming cycle first gets the planet. But no dibs until the process is complete! You can speed terraforming up by firing additional pods at the planet or you can shoot the enemy Terraformer off with any projectile. Just watch out and don’t destroy the planet in the heat of the competition. So much for Colonizer, but we do have plenty of other fun weapons coming to Worbital. Stay tuned! Check our last week’s update status update too see what we’re working on now. Also, follow us on Twitter and Facebook for more casual updates.